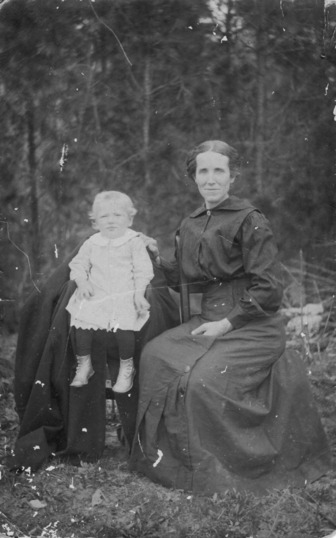 Comments: Maggie Elizabeth Tuck (Nee: Dycus) | Dalton TX United States | | Comments: This is a photo of my g-grandmother Maggie Elizabeth Dycus Tuck with son John Bynum (J.B.) Tuck. The photo was most likely taken in Cass county Texas near their home in Dalton Texas. I'd like to hear from anyone researching this Tuck and Dycus family.